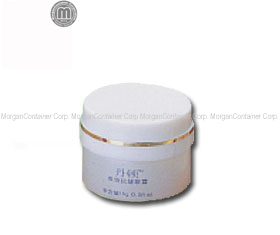 MorganContainer Corp, Morgan Container Corp Provides Arylic bottle and acrylic jar and aluminum jar. Coloring for body and cap are available upon your request. Coloring can be made in : Material color, Spray paint color , Metalization, UV Coating and more. Printing for your design on container is also available. Printing can be done by Silk Printing, hot stamping. We follow pantone color code as our color standard.